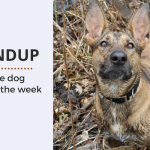 Welcome to this week’s roundup where I share some of the best dog articles, deals, & videos of the week. Laika and I learned a lot this week – from the importance of a daily walk to the science behind why pets are good for kids. When you have some extra time this week take a moment to catch up with some of these great articles – best paired with a nice cup of coffee. 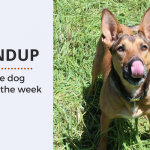 Here are my favorite dog articles, deals, and videos of the week. I hope you enjoy them as much as I did and if you come across anything great this week be sure to email them or leave your suggestions in the comments for a chance to be in next weeks roundup. The story of a stray dog named Joshua that has learned to walk again after having his spinal cord reattached with a pioneering surgery. He’s on his way to a full recovery with the aid of a special wheelchair and one amazing rescue organization. New research finds that in times of turmoil children often rely on their pets more than their own siblings. They found that kids with pets, especially girls, confided in their pets more than their siblings. They may feel that their pets are not judging them, and since pets don’t appear to have their own problems, they just listen. Even confiding in a journal can be therapeutic, but pets may be even better since they can be empathetic. Research shows that when pets are given the equivalent of human Prozac along with behavioral modification therapy they are shown to exhibit less stress and can cope with the anxiety of being left alone much better. Fluoxetine – the active ingredient in Prozac for humans and Reconcile for pets which is typically used to treat depression, obsessive compulsive disorder and anxiety in humans, was quite useful in in helping the dogs feel optimistic. 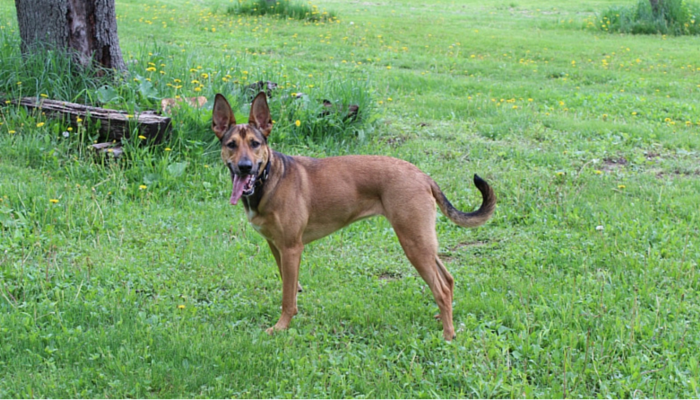 Benno the Belgian Malinois from Arkansas has consumed clothing, sewing pins, and drywall – but in late April he shocked everyone when it was found he had swallowed 23 rounds of live ammo. Benno has since made a full recovery after an operation to remove the bullets. This is something they certainly did not cover in school. I’ve had dogs eat things before, mostly stuffed toys. Once I had one swallow a hearing aid, but I think this takes the cake. How do you feel about snakes? If you’re like most people they probably give you the willies. This is a humorous story of what one dog mother did when she was faced with a snake while out in the garden with her dog. A Simple Way of Reducing Long Term Stress in Dogs? 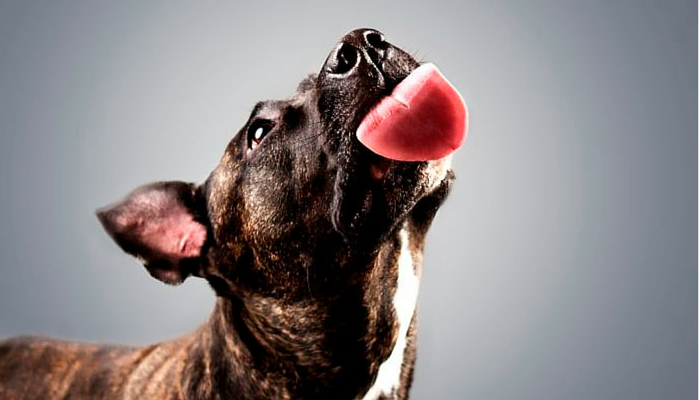 Surveys estimate that as many as 40% of dog owners seldom walk their dogs. Researchers found that one specific variable – whether dogs were taken out for a walk each day – has shown a remarkable effect on their stress and anxiety levels. The town of Hazel Park has lifted it’s ban on Pit Bulls but it’s not without limitations. Pit Bulls must be licensed, spayed/neutered, have insurance, be up to date on shots, and under go a behavioral assessment. While not the perfect situation it’s better than having to face euthanasia. These beautiful images (as seen in the featured image) were taken in Lithuania for a social campaign called “Pet Ribbon Month” that helps raise awareness about therapy dogs and their positive impact on children’s behavior. My former dog Carter got sick in the car all the time; even on 10 minute trips. It really puts a damper on things when you’re always worrying “Is he going to be sick? Is he ok?” These are some great tips for anyone that has a dog that exhibits motion sickness or car related anxiety. Dogs have a way of getting into mischief; maybe not quite as much as their feline counterparts but that’s probably debatable. 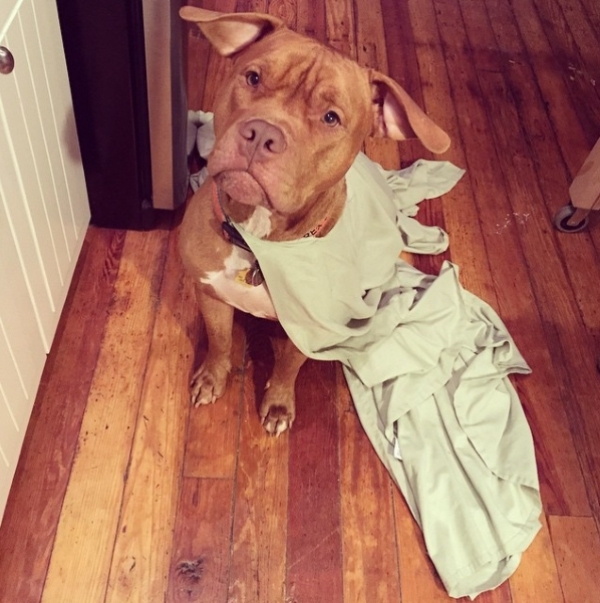 Here’s a look at some funny photographic evidence of what you can’t have in your home if you own a dog. Why won’t she play ball with me? 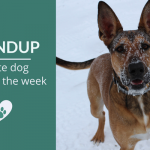 Thanks so much for including our tips for dogs who get sick in the car in your round up! We like to think that all dogs can enjoy a vacation – even the ones with motion sickness. 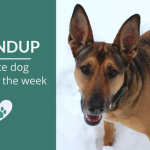 It was so stressful to have a dog with car sickness – every single trip we took he’d get sick and I felt so helpless. My Fur Nephew gets car sick, Im going to share this with my brother! The snake post was hilarious! 🙂 And I’ve never seen a dog trick like Elmo’s before. Very original! I was laughing a lot at the snake post – she’s got such a great way with words. Awesome roundup! I loved the article about the kids confiding in their dogs. That was me when I was a kid for sure. When I read that I thought of you and Lara – for some reason I assumed we probably all had similar feelings growing up with our dogs. Hey at least the clover and dandelions are green and mow worthy….lol. Nice round up. 40% of people seldom walk their dogs…this statistic does not surprise me! With obesity rates being the way they are, it’s not shocking that people are too lazy to walk their dogs. It’s heartbreaking. I also found it interesting that children often rely on pets more than siblings in times of turmoil. This was true for me, especially when my parents were going through a divorce. There was a recent study that also showed a majority of women feel more companionship and love from their pets than their husband and kids! Nice round-up, as usual. I’m not sure how I feel about that study on pets vs. siblings, though. I mean, yes, as a pet person from birth, I got a lot of comfort from my cat as a little girl, but it wasn’t the same as talking to my sister. But, wholeheartedly agree that pets are good for most kids. Only someone who never had a pet to love could possibly disagree. On a lighter note, LOVE those pictures! Laika in the wildflower field 😉 and the beautiful sheet eating bully! I hate mowing down dandelions; wish they didn’t have such ugly stems and leaves!